Showing results for tags 'bao-dur'. Bao-Dur's ElectroMesh Armor 2.1 ------------------------------------------------------- Author: Kaidon Jorn Compatible with TSLRCM 1.8.4 Many moons ago this mod was part of HotOR 1.6, and I thought I had lost the .zip folder for it, but it's now found and I can bring it YOU, the player, in this new updated for TSLRCM 1.8.4 version. This mod adds a small quest to have Bao-Dur build his own non-force restrictive armor once he reaches 10th level. The armor itself is a reskin of normal Electromesh Armor I made back in 2012. 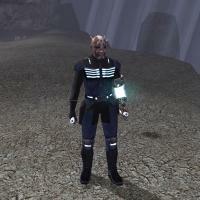 The quest will have you find some shielding components and a mesh suit on Nar Shadaa so that he may turn them into a powered ElectroMesh suit. It is important that you speak to him when he becomes 10th level and pick up the quest so that you don't find the parts beforehand, which is definately a possibilty. Originally the quest started only after he had become a Jedi Guardian, but I changed it to start earlier so you can get better armor for him that will remain viable throughout your play through. Run the .exe to install ***IMPORTANT*** Version 2.1 fixes Bao-Dur's dialog for normal (non-SLM) installation. I advise to install SLM first before this mod, then simply open the folder called "SLM Compatibilty" and copy and paste the new dialog file into Override and allow to overwrite. (You may want to backup the one in Override first) Permissions: You may not redistribute files contained herein and you may not use these files in your own mod without my consent. THIS MODIFICATION IS PROVIDED AS-IS AND IS NOT SUPPORTED BY BIOWARE/OBSIDIAN ENTERTAINMENT OR LUCASARTS OR ANY LICENSERS/SPONSORS OF THE MENTIONED COMPANIES. USE OF THIS FILE IS AT YOUR OWN RISK AND THE ABOVE MENTIONED COMPANIES OR THE AUTHOR IS NOT RESPONSIBLE FOR ANY DAMAGE CAUSED TO YOUR COMPUTER FOR THE USAGE OF THESE FILES. As most of you know, Bao-Dur can't equip robes and heavy armor. This is because all of his appearance.2da entries use a personal customized entries to account for his arm. Ergo, they use the same textures as regular versions of the armors, but the model itself is custom and includes Bao's mechanical arm. Obsidian didn't bother giving him the custom bodies beyond type F, which is the medium armor, which is also why he doesn't have heavy armor feat selectable in the game - it would simply crash because of the missing appearance.2da entries. So, my request would be to take the remaining armor models (body types G, H, K, M), and attach Bao's Arm to them, while retaining the UV maps to accomodate the textures, just like the stock bodies he uses now. While there are some concerns about there being a space between the head and body for the robes (body types I, N), using a custom mesh such as the following - http://deadlystream.com/forum/files/file/413-tsl-prequel-robe-replacement/ http://deadlystream.com/forum/files/file/64-movie-style-jedi-master-robes/ - should prove to be adequate, as very few people use stock robe models these days. Regardless, robe addition is secondary to the request of the missing armor types. This is a piece of cut content that was not restored in TSLRCM. This feature is probably unnecessary thus why it was cut, for anyone who is interested this blog will read out how this section of cut content was going to play out (I may, at times, need to guess what was going to happen to make this make sense as this is content clearly unfinished). In Vanilla and TSLRCM, Bao Dur found the location of Atris' academy through a computer terminal on the landing pad. Through the terminal, he was able to hack into the Force Field Network. In this cut content, the terminal is not on the Landing Platform but rather it is the terminal in Chodo Habats office. Once you defeat the mercs and go onto the empty landing platform Bao Dur's dialogue would go something along the lines of Bao Dur: "The freighter's not here. We'll have to enter the underground ruins and look for the military escape shuttle. The entrance is at the south end of the compound." Player: "How do you know the shuttle will be there?" Bao Dur: "I don't, but that's not going to stop me. I'm getting back to Citadel Station if I have to build a new ship myself." If you spoke with Bao Dur after this he'd reply with Bao Dur: "We can talk later. Right now we've got to find a way back to Citadel Station." The Military Base would play out normal, the player would take the Shuttle from the Military Base back to the Hangar of wherever you left whether that be the Ithorian or Czerka Hangar (Please note there is no movie for a Telos Shuttle landing on the Citadel, if someone did make this a mod it'd have to reverse the takeoff video to make it appear as if it is landing though then an NPC in the background of the video would walk backwards though this NPC "may" be able to be edited out). As the player would have no idea where the ship is this is why they'd come back and not to the Polar Region. On the Citadel you could, if you wanted to, talk to Grenn where he'd say his vanilla "So you have returned" lines though only this time he'd say them much earlier than in Vanilla as you return earlier. When you arrive at the Ithorian HQ Chodo would have some new lines if Bao is in the party, without him in the party you'd be stuck until he is in the party. Chodo: "Ah, Bao-Dur. I heard you'd returned. This pleases me." Bao Dur: "Good to see you again. Have you already heard about Czerka's operations on Telos?" Chodo: "I had. Moza has been in session with the Telosian Council regarding some Czerka files your new companion helped us acquire." Chodo: "Dol Grenn interrupted with news of what you'd encountered, and Moza sent word immediately. It seems that Czerka's days here are finally at an end." Bao Dur: "I would hope so." Bao Dur: "Come. The Ithorian's computer system is hooked up the Restoration Zone Grid and shield network. Let's find your ship." Presumably, if you helped Czerka Chodo would deliver some news along the lines of "things are going bad" and "we can't seem to be able to stop Czerka". None of the Czerka dialogue was written as it's all incomplete, whilst Chodo would dislike a Dark Sided Exile Chodo would still tolerate his/her presence in his own HQ, especially if his own friend Bao-Dur is with him so I have little doubt that a Dark Sider would still need to come back to Chodo to gain access to the shield network (The other only alternative is Jana Lorso as one can assume she has access to the Czerka controlled restoration zones herself, however, in vanilla Bao-Dur shows distaste for Czerka and in cut content Jana Lorso betrayed Bao-Dur and almost had him killed, this cut dialogue will be released in one of my upcoming mods). Once you interact with the terminal Bao Dur would have his dialogue with the terminal about finding the power interference in the Polar Region minus the dialogue of having to go into the Military Base as in vanilla on the landing platform. Once you had completed this you were then meant to return to the shuttle either in the Ithorian or Czerka Hangar. It is a possibility, yet unconfirmed, that once you finished up with the terminal you would hear an announcement over the loudspeakers from Jana Lorso. "Attention, Citadel Station. This is Jana Lorso, your Czerka branch's Executive Officer." "As you may know, Republic negotiations with Onderon have deteriorated of late. Czerka entered Citadel Station in the hopes of resolving the situation for the good of Telos." "I regret to inform you that the Telosian government, with the aid of the Ithorians, has entered an anti-Republic treaty with Onderon." "In order to protect the Republic's investment in Citadel Station and for the betterment of Telos, Czerka has been forced to assume command of the station." "Until Republic forces arrive to formally depose the Telosian Council and restore order, Citadel Station will remain under Czerka control." "This should not affect your daily affairs. Please go about your business as usual. Thank you for your cooperation." This is related to another piece of cut content I will detail in another blog as I have no reason to confirm or deny that this would happen right now during this section of cut content. This could of, for all I know, happened once you finished Telos completely and if you helped Vaklu on Onderon. Once you leave the station the HK-50 droids would arrive in the Bay Control area and presumably kill the Ithorian or Duros inside and have the exact cutscene as they have in the Military Base aka they send a squad out to the Polar Region to kill you. If the Ithorian is killed in the Bay Control you won't be able to talk to him if you want to steal the Prototype shield for Samhan Dobo (Despite this, you will still be able to complete the quest). And that is the "Bao-Dur's return to Citadel Station" cut content. Feel free to leave opinions on this down bellow (how you feel about the content, was it a good idea to have this cut, should TSLRCM include this, should this be it's own mod) and also let me know whether or not I should write up any more explanations for cut content. 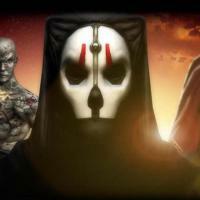 ************************************** Knights of the Old Republic - The Sith Lords ************************************** TITLE: Effixian's Bao-Dur Reskins AUTHOR: Effix(ian) CONTACT: PM me on the forums or find me on Steam. 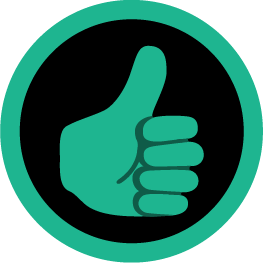 ************* INSTALLATION ************* Unzip, copy the files from one of the folders to your override folder. ************ DESCRIPTION ************ This mod includes reskins of: - Bao-Dur's head - The lightning in his mechanical arm (more red) - His mechanical arm when wearing armor (red details) - His default clothing (a lot of black) - His Remote (and with it also other Sensor Balls). The Remote gets a more Imperial look. There's 2 variations included that you can choose from, version A has different looks for light side, half way dark and fully dark side. 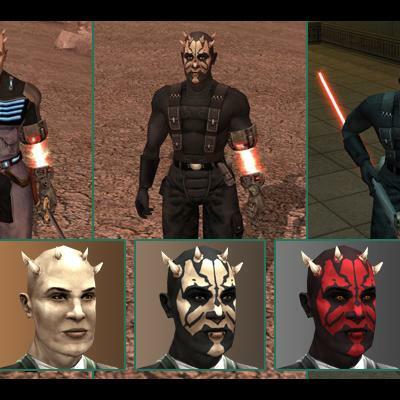 Version B is for the Darth Maul fans who want the look inspired by him from the start. The light side head doesn't have the scars, his dark side look is inspired by Darth Maul and the neutral head is like the dark head but without the red parts and Sith eyes. This mod is not compatible with other mods that change Bao-Dur's appearance. TSLRCM: A few files that change Bao-Dur's default clothing to a darker version are also included in TSLRCM, so you will need to overwrite those files if you're using TSLRCM. If you like you can make backups of those files before replacing them (P_Bao_DurA.tga, p_bao_dura.txi, P_Bao_DurAD01.tga, p_bao_durad01.txi). ***** BUGS ***** None. ************* UNINSTALLING ************* Remove the following files from your Override folder: C_SenBall01D.tga fx_Baodur.tga P_Bao_DurA.tga p_bao_dura.txi P_Bao_DurAD01.tga p_bao_durad01.txi P_Bao_DurH.tga P_Bao_DurHD1.tga P_Bao_DurHD2.tga P_BaoDur_Arm.tga PO_PBaoDur.tga po_pBaoDurd1.tga po_pBaoDurd2.tga ******************* DISTRIBUTION NOTES ******************* You may NOT: Use the material from this mod in your own mod without giving me credit, implying it was your creation. You might: Use the material from this mod in your own mods if simply you ask me. ******** Thanks to ******** Fred Tetra for KotOR Tool ------------------- THIS MODIFICATION IS NOT MADE, DISTRIBUTED, OR SUPPORTED BY BIOWARE, OBSIDIAN, OR LUCASARTS ENTERTAINMENT COMPANY LLC. 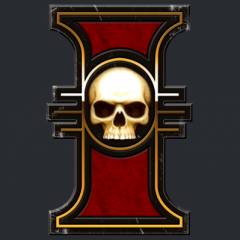 ELEMENTS TM & © LUCASARTS ENTERTAINMENT COMPANY LLC AND/OR ITS LICENSORS. Bao-Dur is Buff. This mod makes any armor appear as his default clothing. Because he's Buff. 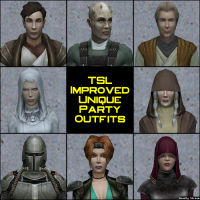 This mod will not conflict with any sort of "Let Bao-Dur Wear Jedi Robes" type mod, especially if they also use a TSLPatcher. If in doubt, install this one on top. This mod will probably make any "Bao-Dur is made of glass, let's give him special armor" mod look like he's just wearing his normal clothes.